OET 2.0 - While all the other parts of OET are changing at least a little in the September update, the writing sub-test is staying the same. So, if you’ve taken or prepared for OET before, the new test will not contain anything you haven’t seen before. Our tips are designed to help you understand the format of the test, the way it’s assessed and the skills you need to use to succeed. In the writing sub-test, you have 45 minutes to plan and write a letter from the perspective of someone in your profession. The recipient (the person you’re writing to) will often – but not always – be another medical professional. You are given a set of case notes and a task to base your letter on. For the first five minutes of the test, you are not allowed to write anything, including notes or marks on the question paper. You should try to write between 180 and 200 words, but the word count is not one of the criteria used to assess you. However, the tasks are designed so that a good piece of writing will usually be around this length. When composing your letter, keep the recipient in mind at all times – their profession, their relationship to the patient and their role in the case. This will help you to select information that is relevant and omit information that isn’t and inform the kind of language you use to communicate your message. This is the most important piece of advice for OET writing, but the following summary of the assessment criteria contains many more tips for success in every area of the sub-test. 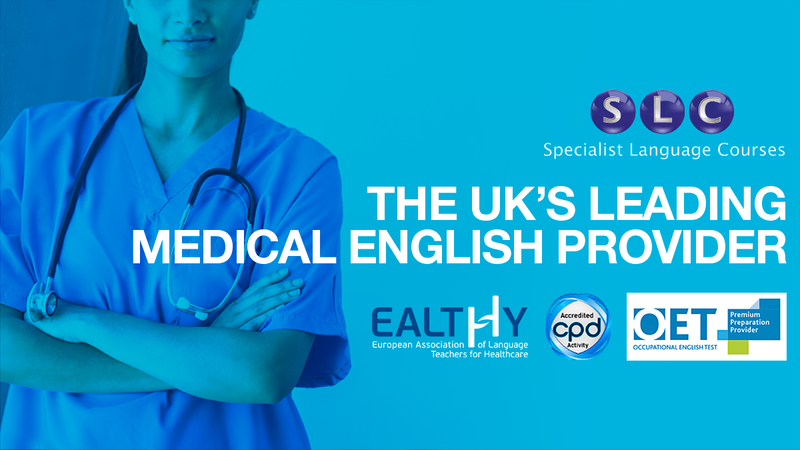 There are five criteria that OET will use to assess your writing: overall task fulfilment, appropriateness of language, comprehension of stimulus, linguistic features and presentation features. Each is worth 20% of the total score, so no single criterion is more important than any other. Many students place a high value on “correct English”, or the absence of grammar and vocabulary errors, and while this is important, there are many other things to consider when deciding if your writing is at the right standard for the grade you need. Have I communicated my message clearly? Does the recipient know why I’m writing and what I’m asking them to do? Have I communicated professionally? Would the recipient have a good impression of me after reading my letter? Remember that OET is a test of your English ability, which means your writing should be clear and easy to understand. Appropriate language is language that is suited to the type of letter you’re writing, the situation you’re writing about and the person you’re writing to. Remember that professional writing is formal without being complicated – for example, it’s best not to use contractions like I’m, you’ve and hasn’t, as these are a little too familiar for a formal letter, but at the same time, a phrase like due to the fact that (which means the same as because, but takes five words to say it) makes the recipient work too hard to understand you. Focus on making your meaning clear and avoid using unnecessary words. You should also consider the urgency of the situation (serious illness or injury requires stronger language than a minor condition or lifestyle issue) and make sure you put the most important information at the beginning of your letter, with supporting points following in a logical order. This criterion assesses your understanding of the notes and the task and how this is reflected in your writing. This means selecting relevant points from the notes and transforming them into sentences that describe the patient’s situation simply but accurately – and remember that you will also be assessed on your ability to paraphrase the information in the notes when appropriate, rather than simply copying the language you’re given. What you don’t include is as important as what you do include – for example, you shouldn’t mention an appendectomy at age 20 when considering a patient hospitalised at 75 with coronary artery disease. You also need to be clear about any requests for review or ongoing care to show that you understand what the task is asking you to do. Another way to succeed in this area is to make connections between case notes: this could be as simple as noticing two separate mentions of the same condition or procedure and writing something like “Mrs X has had two operations to correct her vision” or connecting several records of the patient’s weight by writing “Mr X has gained 8kg in the last year”. As well as writing professionally and effectively, you should also strive to write as accurately as possible. This criterion covers the areas of grammar (constructing sentences according to the conventions of English) and cohesion (connecting words, phrases and sentences using appropriate prepositions, conjunctions and other linguistic tools). Cohesive devices are words and phrases that explain relationships between ideas, doing jobs like adding information (and, also, additionally), showing contrast (but, however, although), and describing cause and effect (because, therefore, as) to describe cause and effect). Your writing should show not only that you can use these devices, but also that you can use them effectively, and again, the best way to develop these skills is to read as much as possible, study how professional writers connect their ideas, and practise doing the same thing in your own work. Presentation is a key element of professional writing and can significantly affect both the impression you make on the reader and the clarity of your message. In the writing sub-test, the presentation features of spelling, punctuation and layout are assessed. Improving your spelling, like so many other things, is a question of practice: when you review your work or receive it back from your teacher, make a note of any spelling errors and review them from time to time. Writing on a computer with a spellchecker can be useful, but you won’t catch all your mistakes this way – if you write then instead of than or pane instead of pain, the spellchecker won’t notice, because you’ve chosen the wrong word but spelled it correctly. You also need to make sure that you copy words accurately from the case notes – common errors occur with the names of people and places and specialist vocabulary – so make sure you leave enough time at the end of the test to check your writing for mistakes. English punctuation is relatively straightforward, and for most letters you will only need to use full stops, commas and apostrophes. There are lots of short, simple punctuation guides online and it’s worth spending some time studying them. In terms of layout, it’s a good idea to have a checklist to make sure you’ve included all of the necessary elements: the recipient’s name and address, the date, an opening salutation (“Dear…”), a subject line (usually Re. followed by the patient’s full name and age) at the beginning and a closing salutation (“Yours sincerely” if you know the recipient’s name, “Yours faithfully” if you don’t) and the job title you’re given in the task at the end. To make your letter easier to read, leave a clear line between each paragraph. If you would like feedback on your written work SLC offers a Writing Correction Service. Using this service you can find out your current level and receive feedback from an OET PPP accredited trainer. SLC also offers one-to-one coaching for nurses and doctors where you can focus on OET writing.